Bookassist Scotland client, The Loch Ness Lodge at Brachla in the Scottish Highlands has struck gold in the quality stakes! The mansion, which has an award-winning fine dining restaurant, has been awarded Gold Star status through national tourism organisation VisitScotland’s quality assurance scheme. The gold star award was introduced by VisitScotland last year to highlight establishments within the Quality Assurance Scheme that strive to exceed customer expectations and take an innovative and proactive approach to customer care. The Loch Ness Lodge has been awarded five Gold Stars, making it one of only 21 in the Highlands to be awarded the coveted classification by VisitScotland, in recognition of their exceptional hospitality and service. 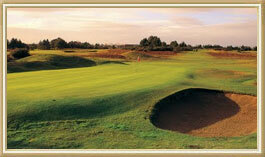 Proprietor Scott Sutherland said: “It is a great achievement for the team to be awarded five gold stars. Scott Armstrong, VisitScotland regional director for the Highlands, said: “Establishments such as the Loch Ness Lodge really are the leading lights in the region when it comes to exceptional quality and service in accommodation provision. Restaurants with rooms, bed and breakfasts and guest houses play a huge part in bringing millions of visitors and billions of pounds to our economy, so it is right that they are recognised in this way. Ian McCaig from Bookassist in Scotland said, "We'd like to congratulate Loch Ness Lodge on this award. They've been been using the Bookassist booking engine for three years now and we were delighted that they recently exteded their contract with us and we look forward to helping them build their online sales over the coming years." 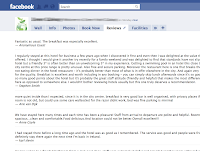 Bookassist has demonstrated its Facebook App for hotels at Bookassist4 - the 4th Annual Bookassist Hotel Industry Seminar, held at the Conrad Hotel in Dublin on June 23. Search Optimisation Specialist Paul Ferry from Bookassist outlined the key approaches for hotels on social media to build brand awareness and stressed the need to take a long term view of social media as a customer service issue, not just a revenue issue. "Social Media gives you an unprecedented opportunity to project your customer service outside your establishment, where all the world can see it", said Paul Ferry. 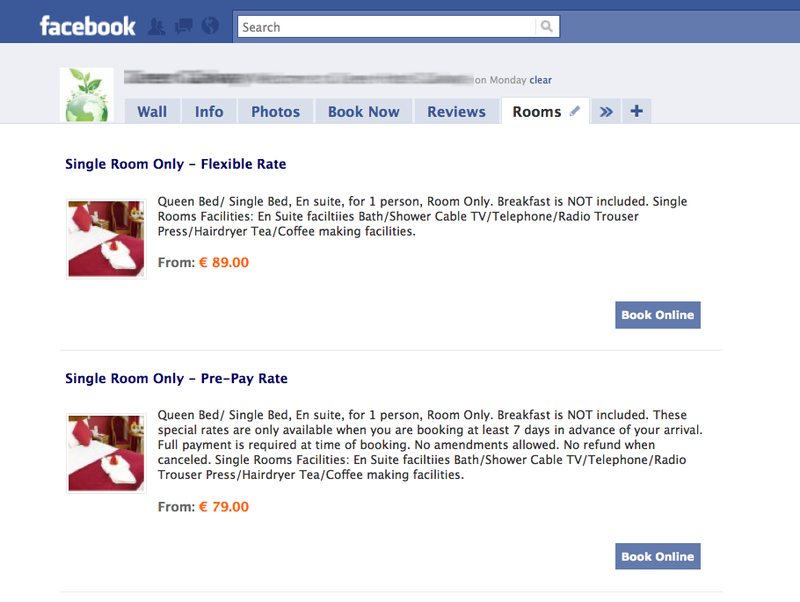 "With our Facebook app, you can feed your hotel details, room types, booking capability and customer reviews right into Facebook automatically, straight from your website booking engine, and access your fanbase directly." The cross-over between social media channels and mobile access in particular was highlighted in the closing talk by Bookassist's Des O'Mahony, where industry figures show very large growth in mobile social media usage and in particular in the use of geolocation features. 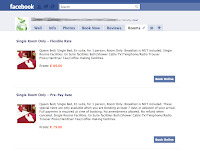 Bookassist's Facebook App will be available for Bookassist hotels in Scotland shortly. Ian McCaig from Bookassist Scotland was delighted with the new functionality, "It couldn't be clearer that Scottish tourism is increasingly leaning on on-line marketing for more of its direct business. Bookassist is allowing accommodation providers throughout Scotland to integrate their on-line marketing strategies at an increasingly higher level with our booking engine. The Facebook integration comes hard on the heels of ChannelConnect, increased PMS development and complements the already powerful integration of a world class online booking solution. 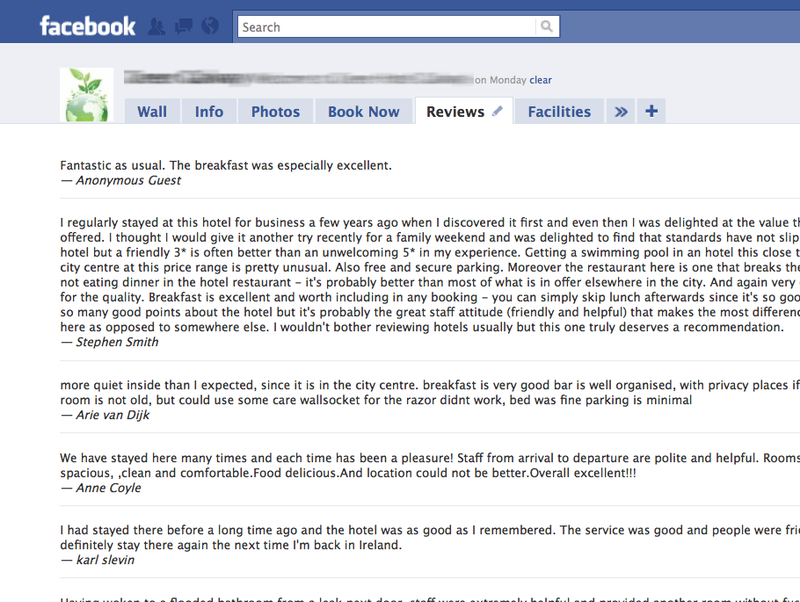 We are all extremely excited about how much direct booking business can be driven through the Facebook world." Golf Tourism Scotland (GTS) has confirmed a world-class line-up of speakers for its special all-day forum timed to coincide with celebrations marking the trade body's fifth year of campaigning. In a forward-looking agenda, the prestigious panelists will reveal what issues they believe will influence the golf sector over the next five years. The presenters charged with making their predictions include Scottish Enterprise's head of tourism Eddie Brogan, VisitScotland's director of visitor engagement Malcolm Roughead (OBE), Scottish golf development manager for the SGU and SGLA Andy Salmon and Lee Derrick, GTS board member and owner of marketing agency Blue Spinach. From the private sector, Seamus Coen, regional general manager at Macdonald Hotels, will be giving his insights as will Max Hare of Golf Scotland, a tour operator serving a host of European countries. The latest experts to join the impressive line-up are Ken Gill, from Today's Golfer, who will give his views on how the media are preparing for the future, and Kevin Lewis of Machrihanish Dunes, one of Scotland's newest golf resorts. Hosted at Murrayshall House Hotel in Perthshire, the all-day national forum will be a potent mix of trend spotting and inspired projections, as GTS chairman Nick Hunter explained. "We've given the speakers a challenging brief to identify the key trends they believe will influence golf in Scotland in the coming years. It's an intriguing theme that will help the entire sector prepare for what lies ahead." The GTS 'Gimme Five' national forum will be staged at Murrayshall House Hotel on Tuesday 6 July. You can find out more about GTS at their website or watch the video for more information. We're delighted to have been invovled in pulling together a new corporate video for Golf Tourism Scotland who represent more than a hundred and fifty business in the sector across Scotland. The Edge scripted, story boarded and interviewed the main contributors producing a six minute short presentation aimed at promoting the work of the body to current and potential members. Steven Timpson, from The Edge lead the production of the video, "It's not the first time we've done video production having done work previously for some public sector clients but this was an interesting piece given the content. It's always great working with professional video companies and on this project we were blessed with the excellent efforts of the team from Studio Scotland in Inverkeithing who worked with us with the interviews at The Inn at Lathones and the "live" shoot at VisitScotland Expo."